Up in the quiet residential of Faber Hill, you will get to find a hidden gem Japanese Restaurant humbly located along the shophouses stretch. However if you are familar with Buck Tile St Cafe, they are just side by side and you definitely won't miss it. The Izakaya Style Restaurant has an extensive menu serving Japanese dishes, including western dishes, sashimi as well as grill delights and its worth a visit especially you want to have some taste of Japanese Sake away from the crowd. You might be surprised they have as many as 50 types of Sake stored in their chiller. Impressive! 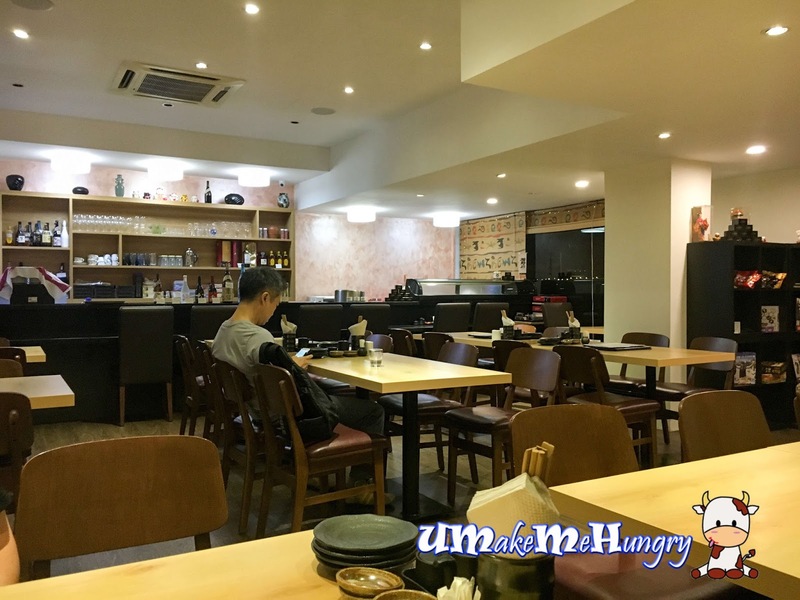 Interior is modernly furnished and there is even a game corner right after the entrance for guests to enjoy it while waiting for their food. 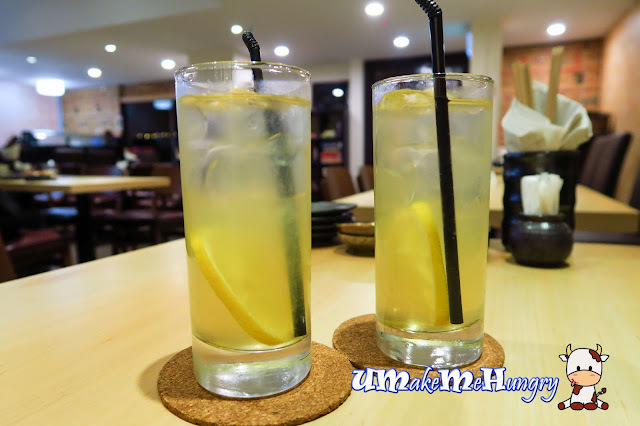 We ordered the recommended home made Honey Lemon drink. Under the Mains in the menu, we found this special combination of Bacon, Prawn and Cabbage Omlette. Though it may be quite an average item for some but credits goes to the smooth runny egg omlette, wrapping up the shredded cabbages underneath. 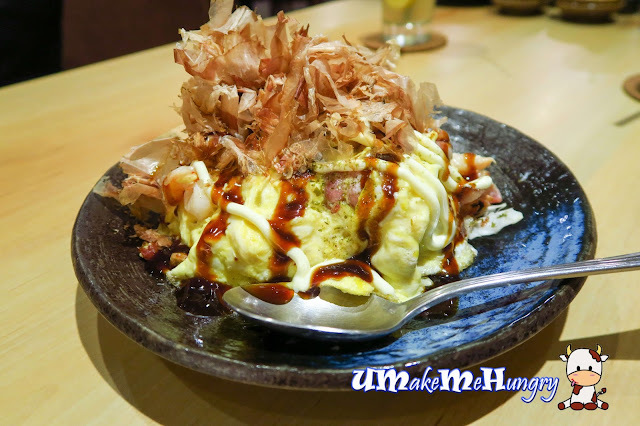 With it marrying the sweet sauce, mayonnaise and bonito flakes, everything was yummy! A recommended item on their menu. The texture of Grilled Squid was tender and packed with slight hint of smoky flavour. Squeeze some lemon juices on top on the Squid and dabbed them onto the Mayonnaise and enjoy! 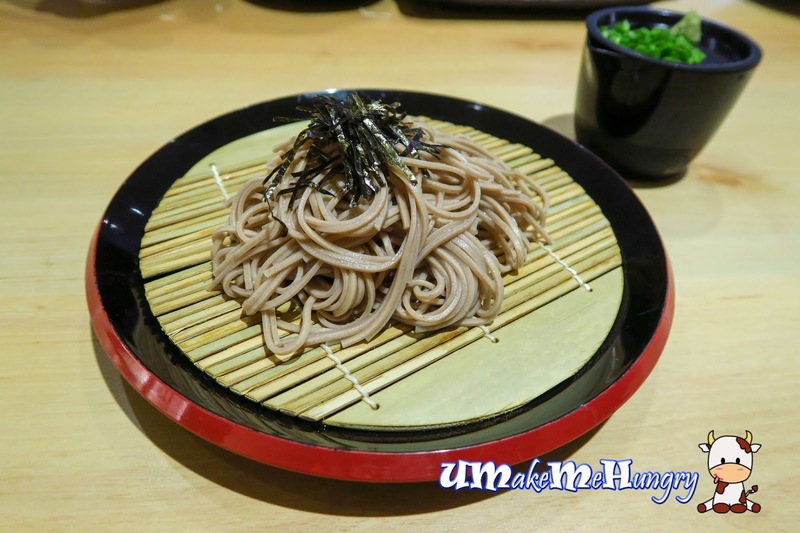 With a straight forward setup and presentation, the Hiyashi Soba is quite ordinary. 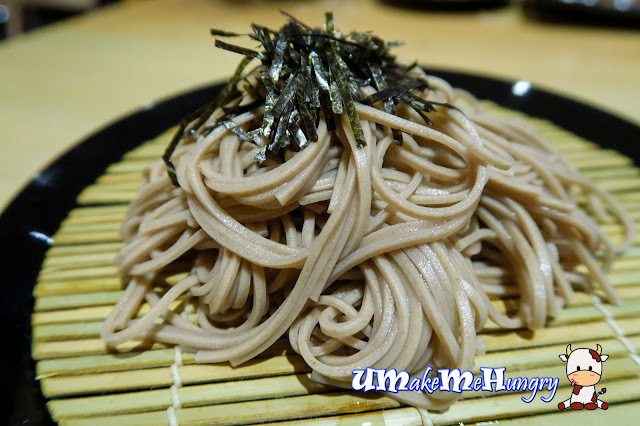 Texture of noodles is alright, dip these cold soba into the soba sauce. Serving of Oyako don was done on a porcelain bowl, covered with a big wooden spoon placed by the side. Enjoy the aroma of Oyakodon rushes in as you open the bowl cover. Light flavours of rice with flavourful egg and yellow onion. What a comfortable homely meal we had in Nobiro. It is a tad too light in flavours as we preferred it to be saltier in taste but no worries in my opinion it is still as good. 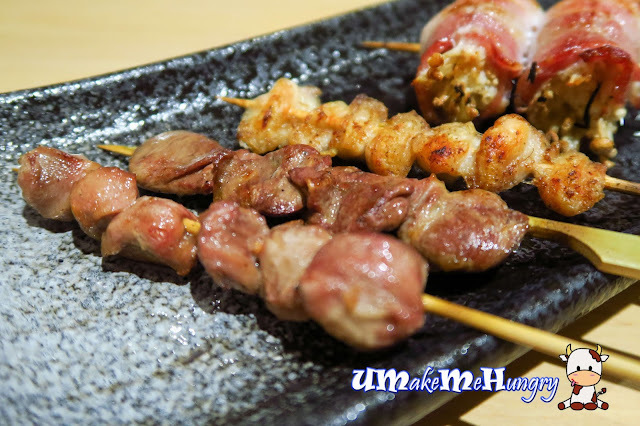 We are very please to have Yakitori fresh from the charcoal grill and ordered Omakase Set B at $30.80 which consist of 10 Sticks of Yakitori base on Nobiro's Selection. However you can also go for their Omakase Set A at $15.80 for 5 sticks of Yakitori. Servings were split into 3 parts and were served separately too. The first plate consist of Chilli red grilled tomato, leeks and mushrooms. 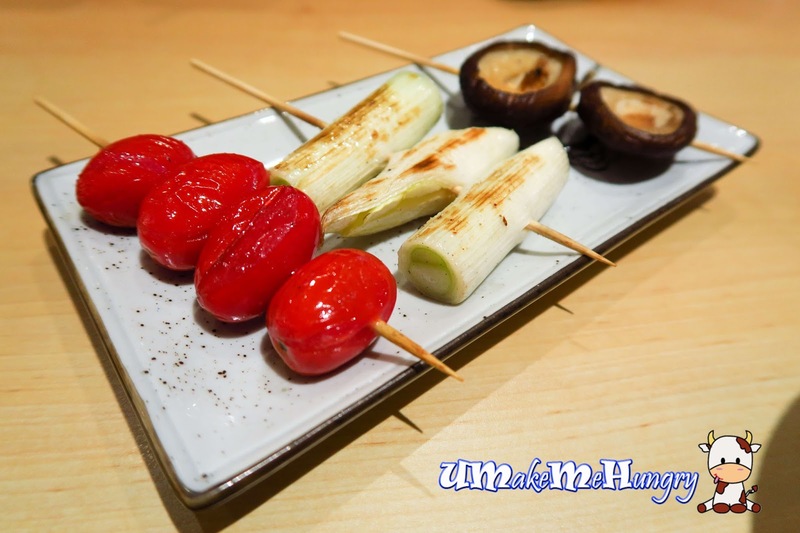 Simply love these freshly prepared grill vegetables especially in its smoky flavours. 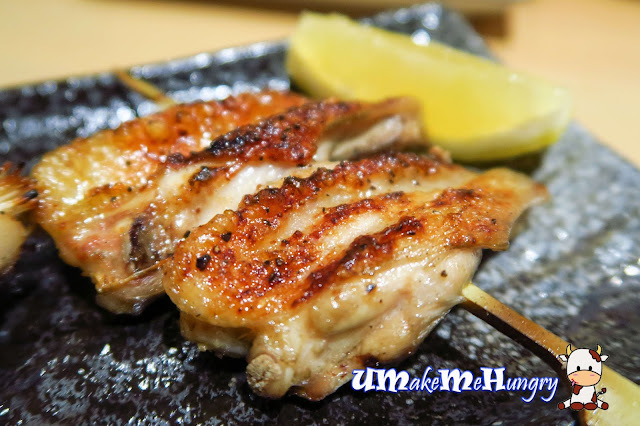 Covered with a layer of teriyaki sauce, these tender chicken thigh in its smokiness taste is awesome. Not a fan of chicken liver but I would say this is very well executed with the terkiyaki sauce. 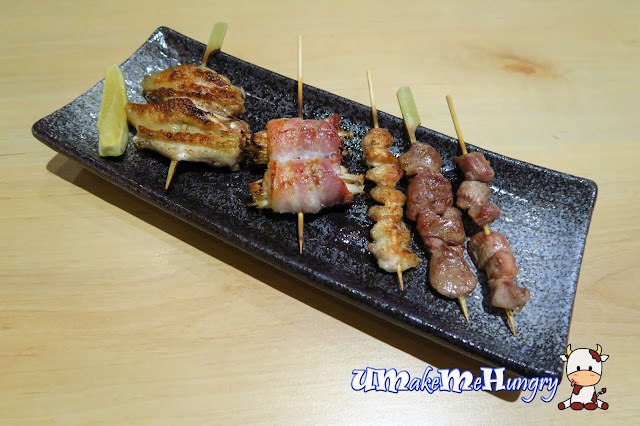 Chicken Wings on a stick? 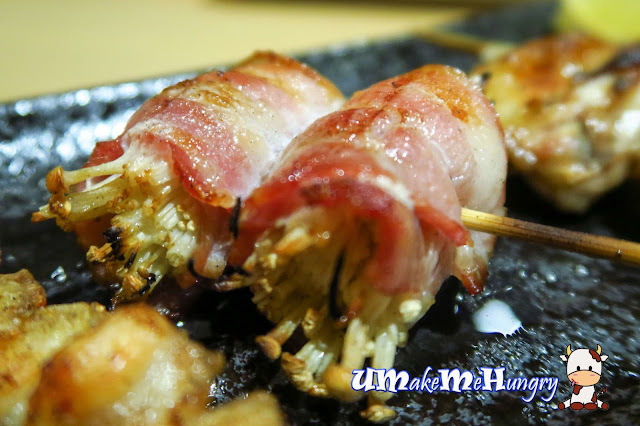 Loving the bite down the bacon into the juicy enoki mushroom. The smoky flavours were great! 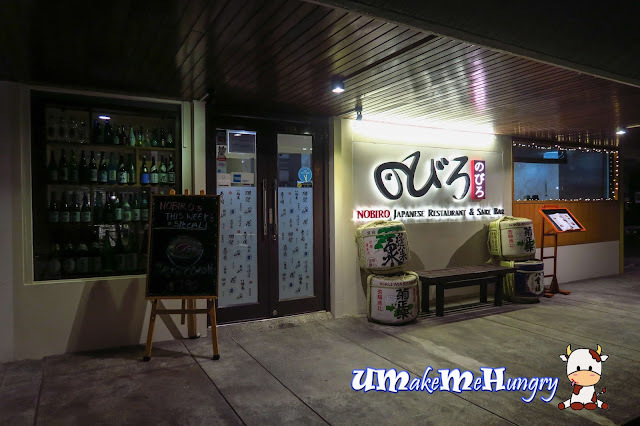 Nobiro Japanese is worth a visit and if you are nearby in the day, they have affordable lunch bento meals special for you guys.